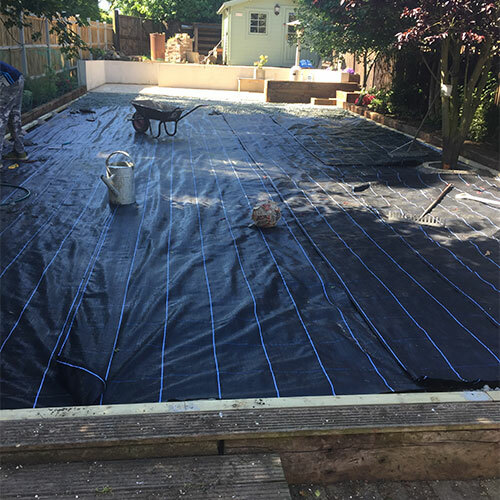 This house in Hartley, Kent had a common problem with their garden lawn that many home owners face. They owned dogs. It gives you little chance of having a great looking lawn and the fact that this family had 4 dogs made it impossible. 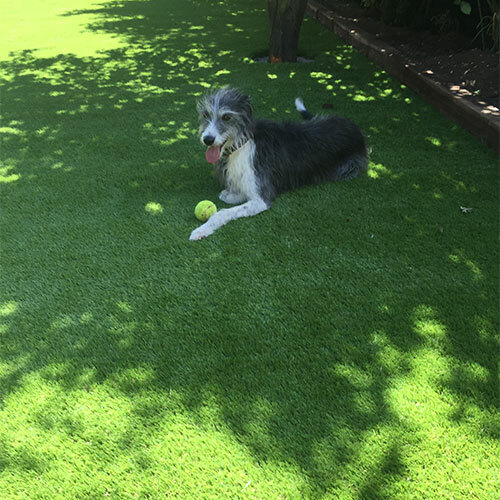 The only solution apart from not letting your dogs into the garden is to fit a pet friendly artificial grass. 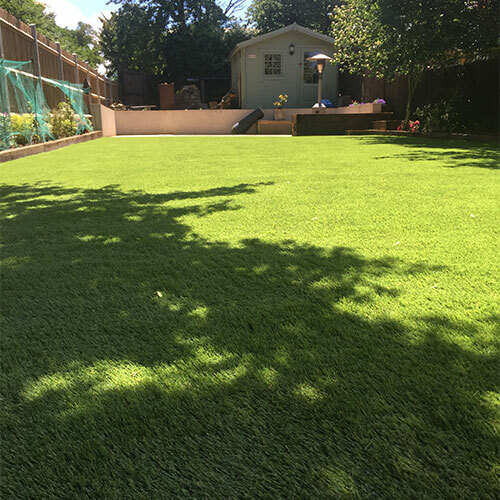 For this relatively large garden 50 metres of timbers were concreted in place around the outside of the lawn and a membrane was put down to stop weeds growing through the artificial grass. 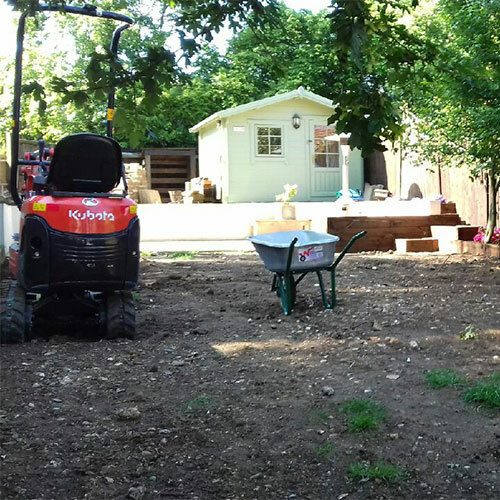 10 tonnes of Type 1 and 5 tonnes of granite dust were compacted in before we finally fitted 106 sqm of the Rectory grass. 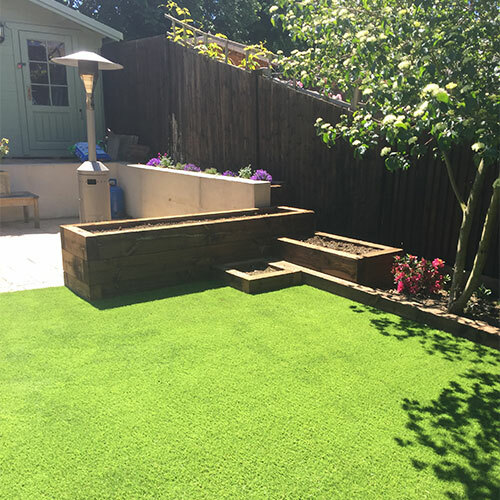 The home owners were left with a truly beautiful garden for both humans and dogs.